676 Penniman Avenue. 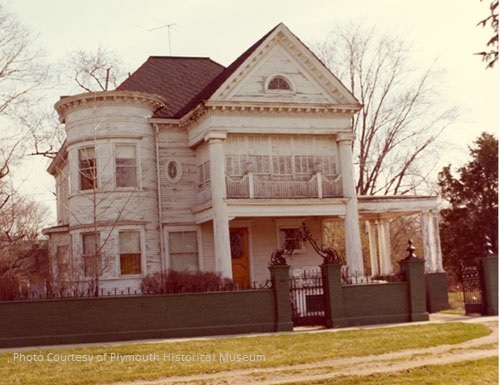 Built in 1901 by William (Phil) Markham, Owner of the Markham Air Rifle Factory which still stands at 340 N. Main St. Today this home still bares a Penniman address although the street no longer crosses the front of this home. This Iconic Queen Ann Style fixture of downtown Plymouth was originally built as a home for Markham’s young mistress, Blanche Shortman. Markham’s Wife Carrie refused to divorce because of her strong Christian beliefs. Carrie passed away in 1910 and Markham married his mistress Blanche. These actions were met with outrage by the locals that the newlyweds were shunned. Blanche could hardly bare the public persecution that the decision was made to leave town and move out West. In 1911 Markham placed an ad in the “Plymouth Mail” stating the sale of his home. The home was purchased by George Wilcox. This home was owned by the Wilcox family for nearly 90 years. Today this home is being used for commercial purposes. 873 N. Mill St. 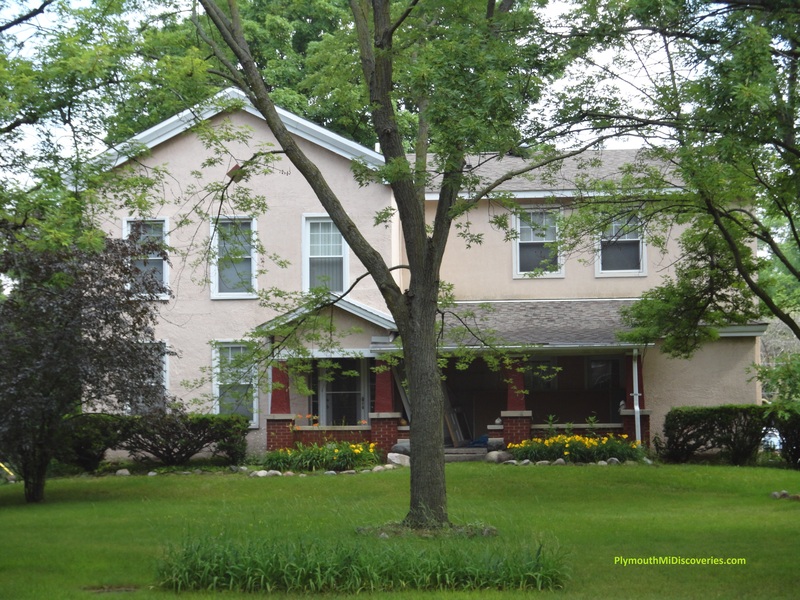 Built in 1913, this home was ordered through Sears Roebuck & Co. by Frank Pierce. 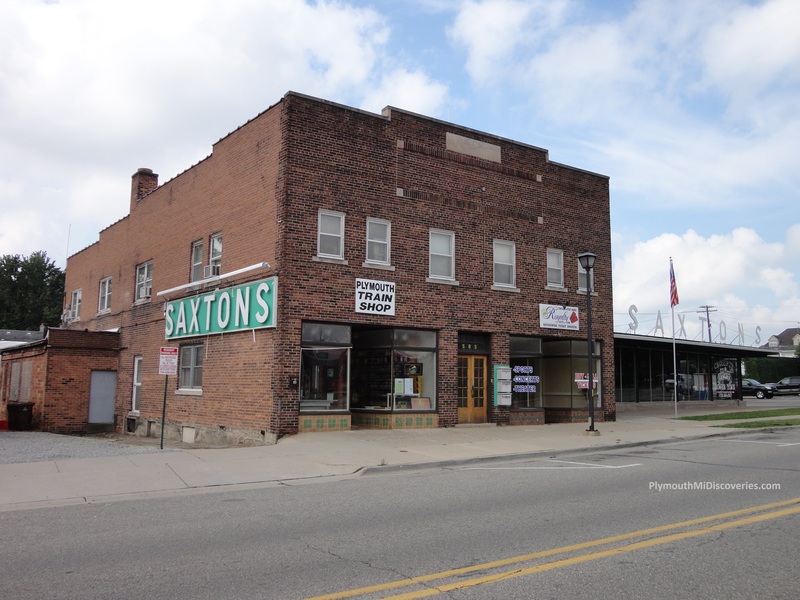 Frank was the manager of the Plymouth United Savings bank branch located on Liberty St. In 1918 Frank’s Grandson Russell Kirk was born here in his home. Russell Kirk was an Author, Historian, & Literary Critic who is known as the father of modern-day conservatism. In his book “The Sword of Imagination” Russel describes growing up in Plymouth and how it impacted his way of thinking. Below is a photo of Russell Kirk with President Reagan. 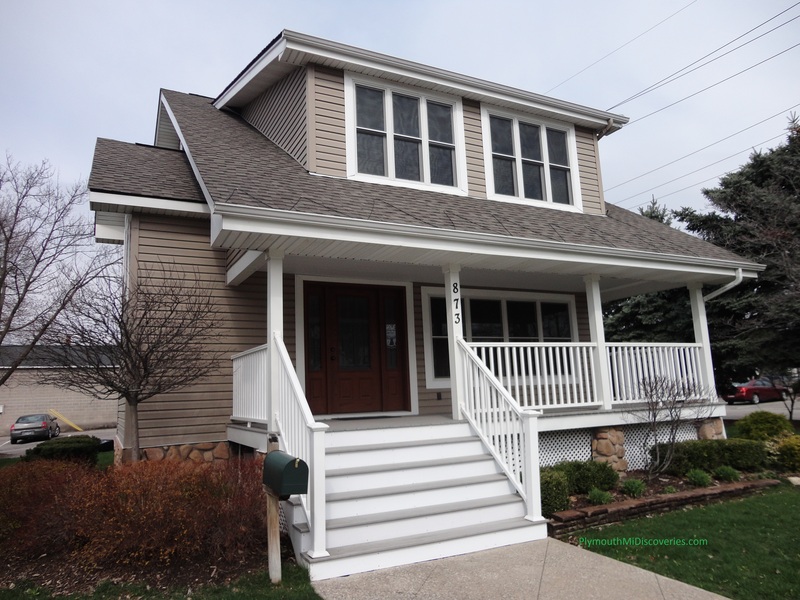 39505 East Ann Arbor Trail. Built in the 1860’s. Behind the shroud of trees there is a beautiful farm house begging to be noticed. 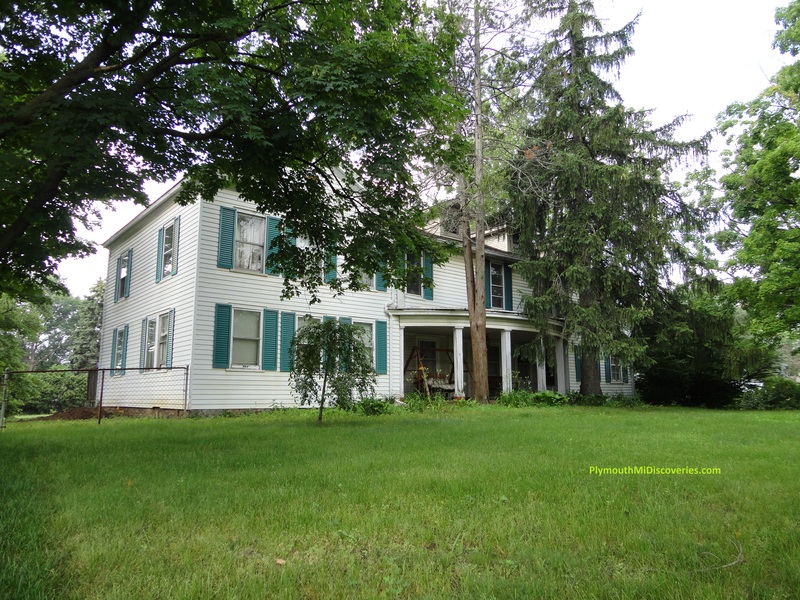 This home was once owned by Harry Ayers who had raised Cattle and even had an Orchard. He named this “Hope Farm”. 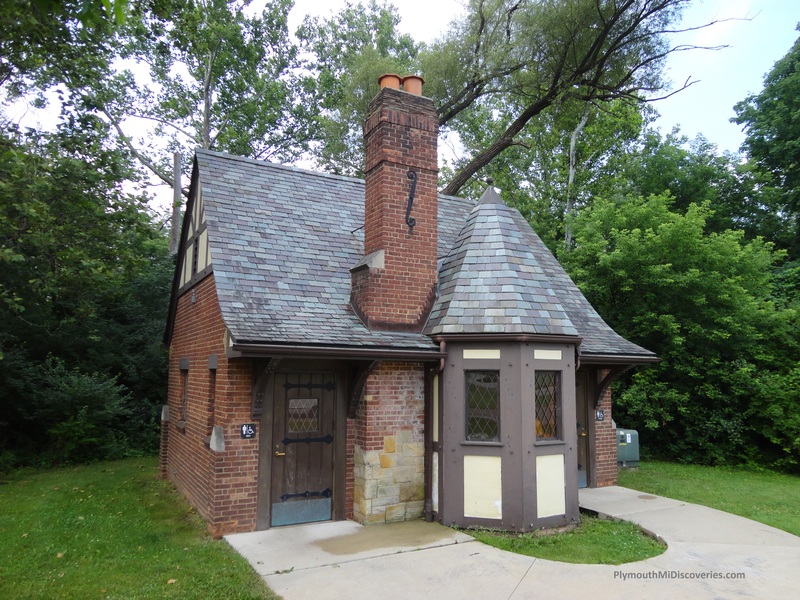 Built in 1937, Located on Hines Drive just West of Haggerty Rd, this comfort station can be found in Hines Park (Haggerty Park location). This comfort station was one of the early public comfort rest stops and it was a prototype for roadside development. When originally constructed, this station had a full-time attendant, an information booth and concession stand. Wayne county was one of the first county road agencies in the United States to promote the “Good Roads Movement” Setting procedures for design, construction, and maintenance of roadside developments. 550 N. Holbrook. 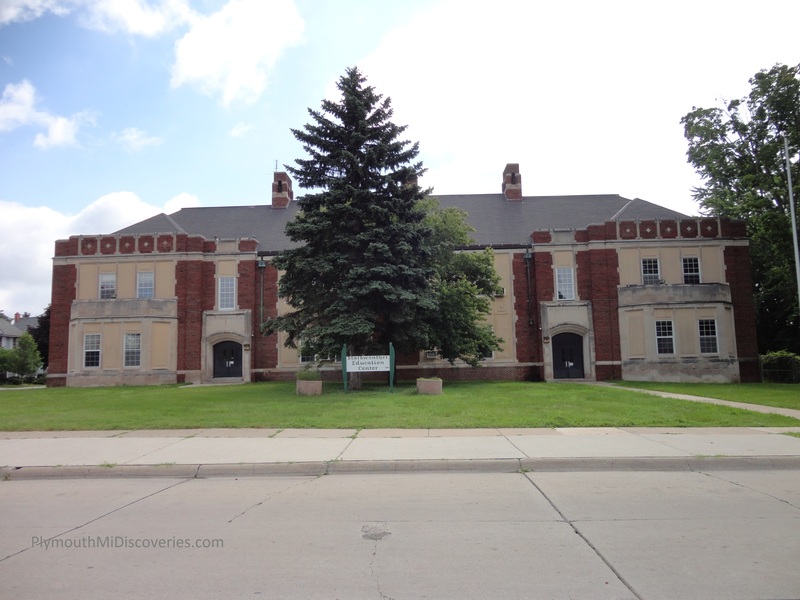 Starkweather School built in 1927. Named after Plymouth’s first born settler child, George Anson Starkweather who once served as a Schoolteacher in addition to being a prominent figure in Plymouth’s history.